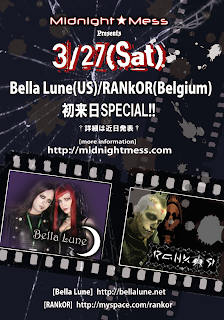 More upcoming Tokyo punk & goth gigs. 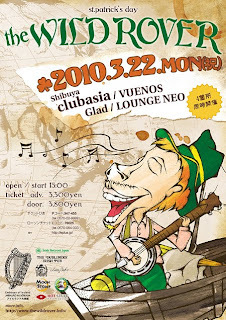 My great big Tokyo itinerary – clubs and bands galore. So I’m off to Tokyo again in a month – woohoo! Last year I went for 3 weeks and had the BEST time (see my post on the Wild Rover punk festival here and Tokyo clubs here). But onto this upcoming trip. As usual music and clubs form the skeleton of my itinerary, with fashion, friends and sightseeing all fleshing it out, as it were. This time it’s just over 2 weeks, from ~12th to 28th March. 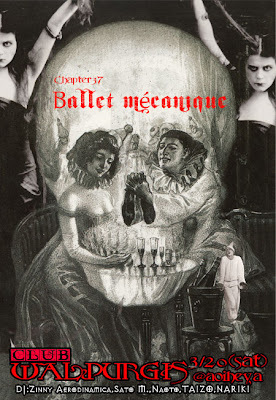 So this is how my dancecard is looking (actually it looks like a lot of club posters). 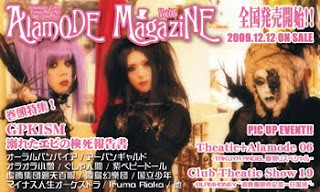 With the usual array of bands, performers, dancers, DJ’s, it is also the Alamode Magazine Vol.06 Release Party. 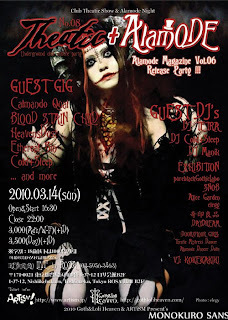 This isn’t a Visual Kei type gothic club in the way the others are, but is definitely one that plays alternative music, probably much closer to what I hear in clubs at home. 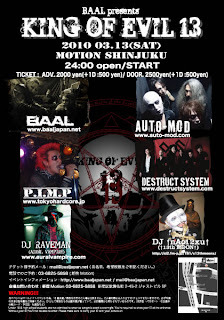 It began in Shinjuku in 1983! So it’s pretty bleeding authentic. Every Saturday was UK Alternative Positive Punk Nite. 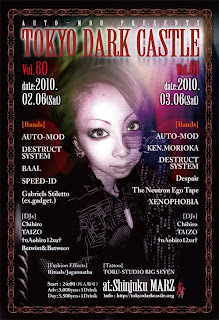 Every Sunday was UK Alternative Hyper Kitsch Nite. Every Wednesday was Psychedelic Nite. This will be a first for me, and I can’t wait! Paddy Punk, here I come! See my earlier post on the Wild Rover festival. 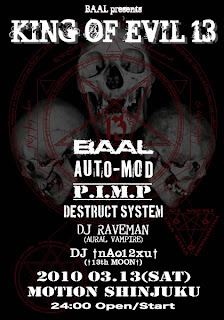 26/3 Gothic Bar Heaven – Friday night midnight til 5am. 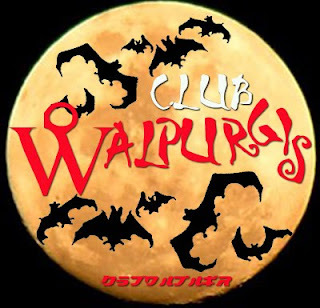 I don’t think I’ve been to this club before either, but it’s run by D’s Valentine, who also runs Alamode. 27/3 Midnight Mess – Saturday night midnight til 5am. Maya and the MM crew are fantastic, and I know I’ll have a fab time. On top of that, Japan Fashion Week is 22-28 (not that I can attend – could I crash something? ), and Hanami should happen around then as well. The last Sunday I was there last year saw a HUGE number of Hanami parties/picnics happening all over, and especially in Yoyogi Park. Sisen invited me to the Decadance Hanami party last year, but when I arrived I was too late, and he and Takuya were going back to the shop, and Adrien was filming his big dolls for the next event. Next time, gadget! I’ll fly out Sunday night the 28th, very tired from all the clubbing, probably hungover, and definitely with too many clothes and boots stuffed in my bag!